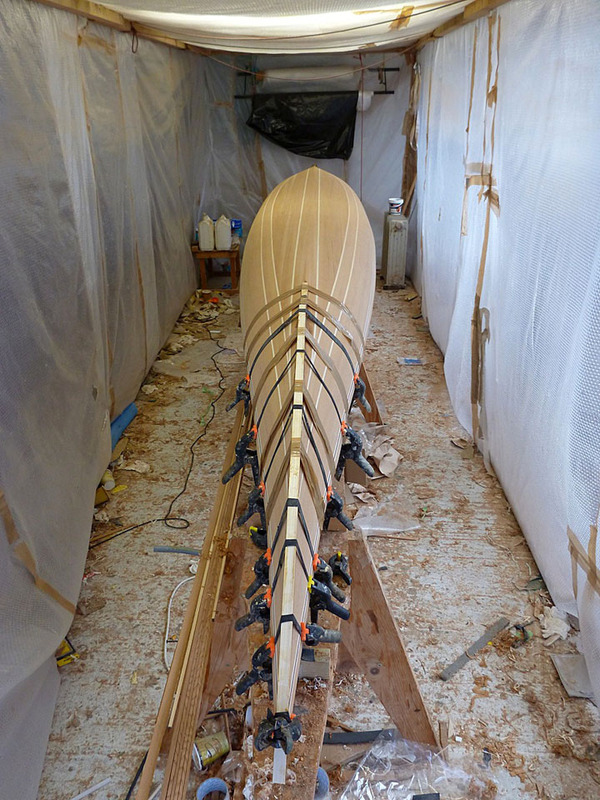 The hull has received its first sanding and the stems are being laminated in place. The tent is for raising temperature while glassing. My glass rolls are visible at the rear of the tent. This boat is covered with 4 oz S-Glass.